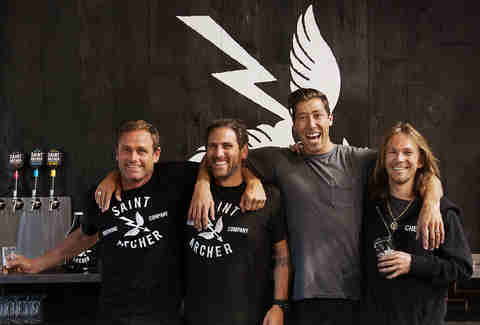 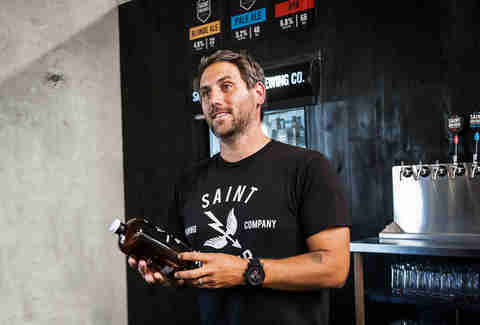 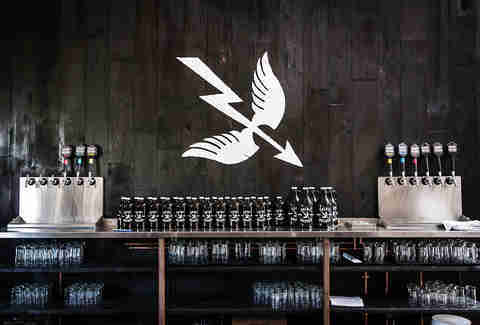 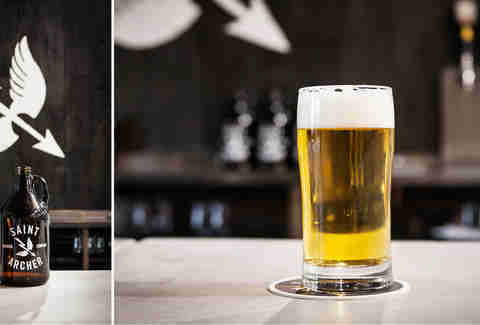 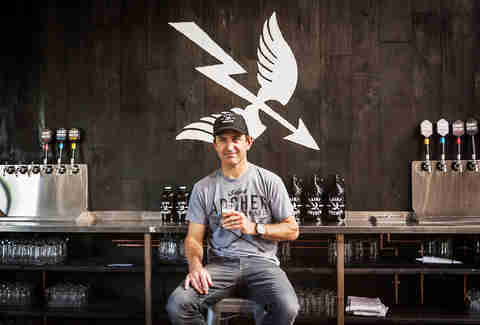 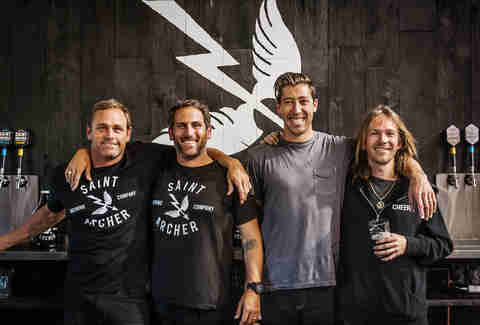 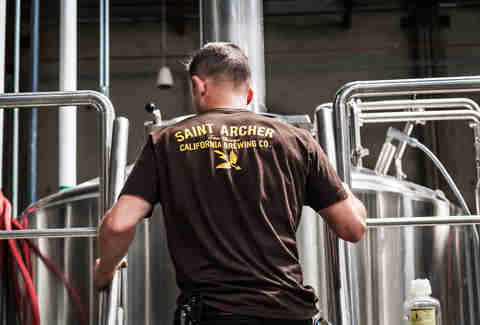 In a city quickly becoming known as a craft brewing mecca, Saint Archer Brewing Company, the brainchild of the execs at FX illustrious filmmaker Josh Landan and pro skater Mikey Taylor, is already making a name for itself, and not just due to the list of pro action sports athletes like Bryan Herman and Taylor Knox (amongst many others) supporting the project; award-winning brewers Ray Astamendi and Kim Lutz are also on board, creating beers that are getting plenty of hype on their own merit -- you can survey the operation for yourself from the comfort of their taproom. 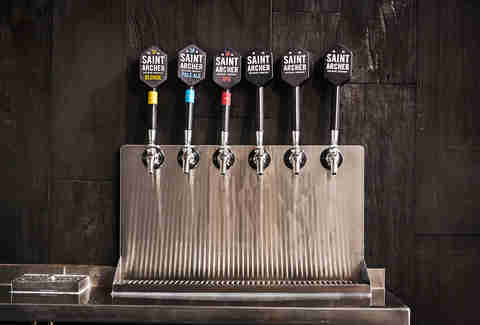 They're starting off with the basics: a 4.8% blonde, 5.2% pale ale, and a 6.8% IPA, with plans for a double IPA and more in the near future. 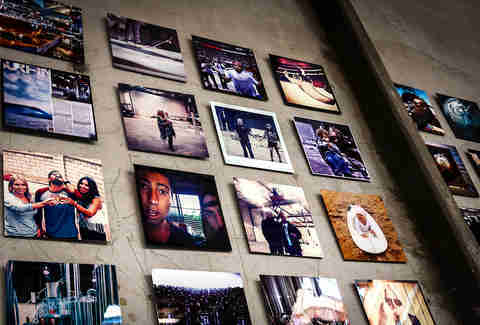 Landan said, "We are the demographic. 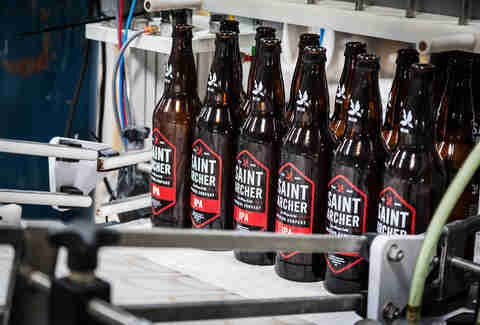 We're making beers for our friends, and us, to take to BBQs and the beach and to take skating, or to take in the cooler when we go on road trips... that's what we're making. 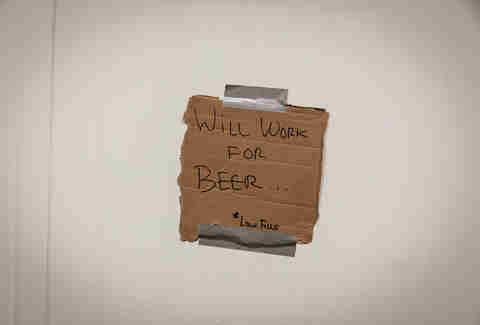 It's just that simple." 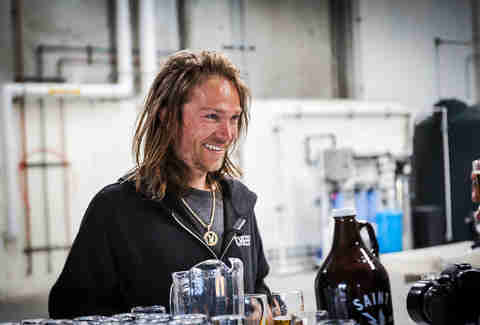 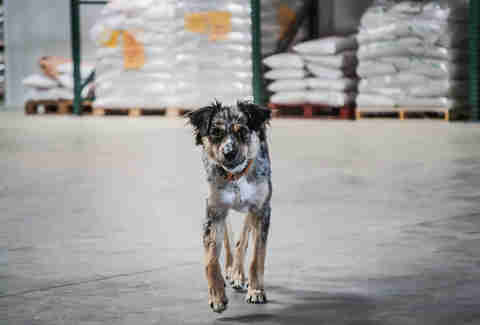 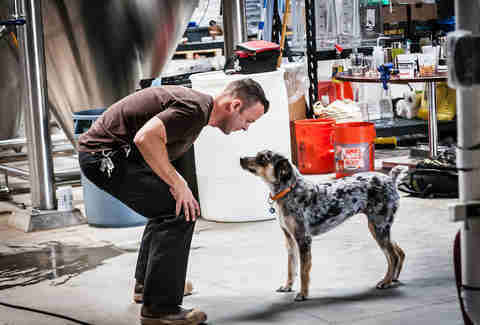 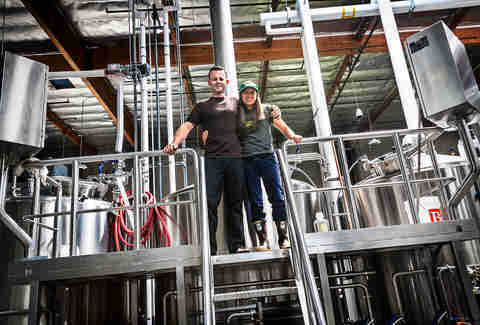 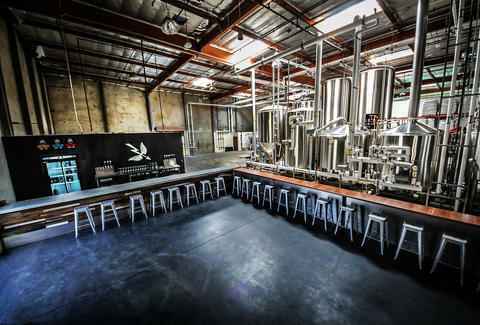 Astamendi honed his brewing chops at Mission, Left Coast, and Maui Brewing Co, where Lutz recently served as head brewer (that's Kim from two paragraphs ago, not the Eskimo 30 Rock writer), so expect some serious flavor as they start rolling out more brews. 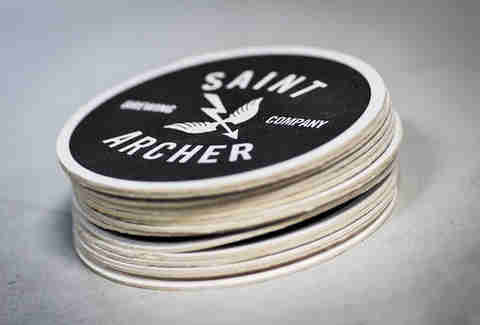 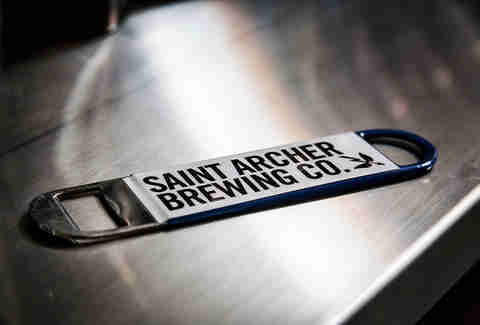 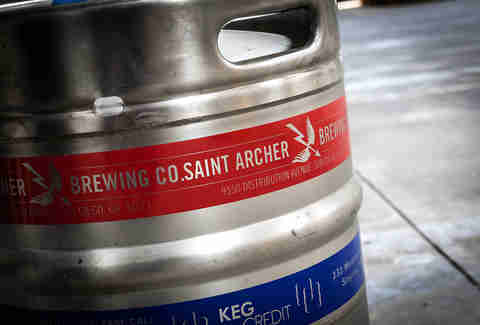 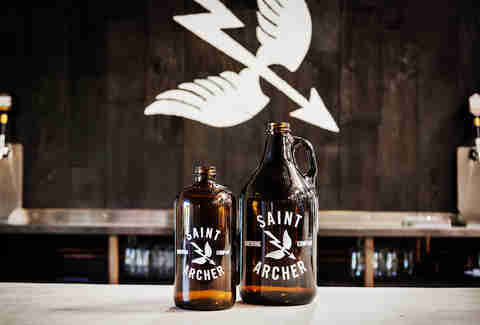 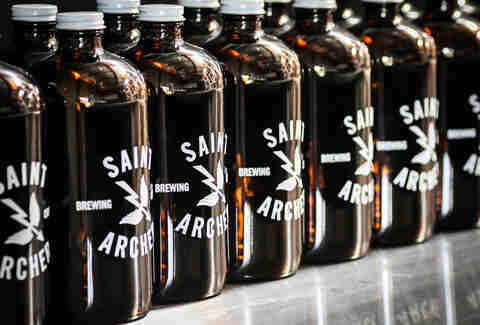 In a little over a month, Saint Archer already found itself in high enough demand to occupy 200 tap handles in San Diego alone, so it's no wonder everyone looks so happy. 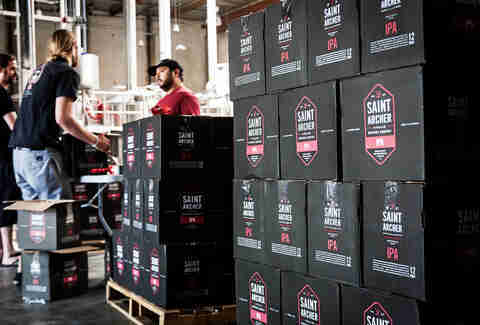 Or it could just be all that beer.